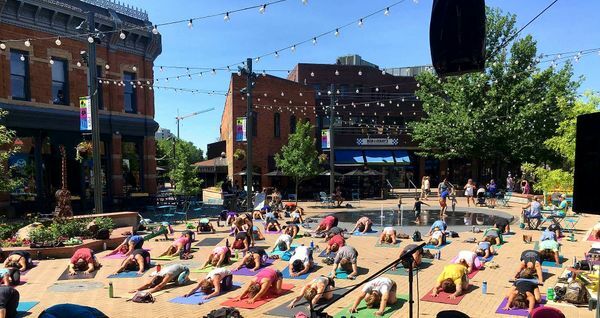 Join us as we spend the day in Old Town Square celebrating Yoga, Health, and our one-of-a-kind community! These FREE community classes led by Old Town Yoga certified and experienced teachers are geared towards all levels, though some yoga experience is recommended. Start your weekend strong as we stretch, strengthen, and breathe deep in the heart of Fort Collins! 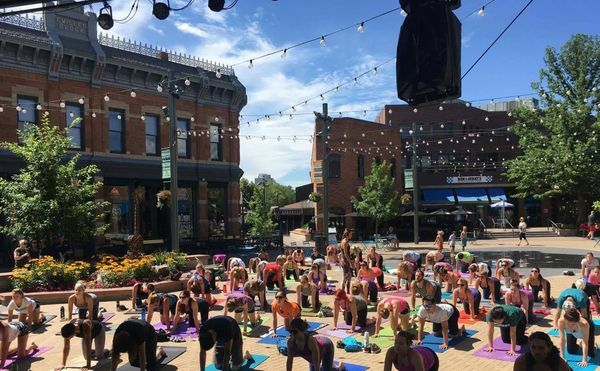 In addition to FREE yoga classes, enjoy healthy food and drink, learn from local health practitioners and shop some of your favorite Colorado vendors. Also, don't miss our exciting specials and giveaways! We're thrilled to feature prime sponsors and vendors who share our vision of vibrant health and wellness of mind, body, and spirit! We're thrilled to have the following vendors joining us for Yoga In The Square! Make sure to visit their booths and learn about their services. We've got room for 7 more vendors so if you our someone you know might be interested, let us know!